A cycling event at MACC, which made headlines in January, has suffered a spoke in its wheel with low numbers of entries. 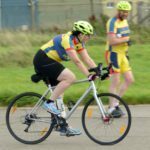 Kintyre Wheelers Cycling Club’s (KWCC) End of the World (EOTW) event, on the weekend of May 4 and 5, had attracted some leading Scottish cyclists but across all events, on both days, there were less than two dozen entries. 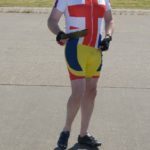 Entry was through the British Cycling website and EOTW was strongly promoted, by its founder, KWCC secretary Robbie Semple, at the recent Scottish Cycling Running and Outdoor Pursuits Show in Glasgow. With one Monday left to go on entries, at the KWCC committee meeting, in Campbeltown last Wednesday, it was decided to change the event from two days to Sunday only. Any entrants have been fully refunded through British Cycling. It will also be classed as a closed event, confined to KWCC members only. The confined status would mean that anyone from outwith Kintyre could still take part by paying the £15 to join KWCC, which is a big discount on the EOTW entry fee. The format has not been confirmed but KWCC’s provisional plan includes a 10 mile time trial and a MACC Runway Rush, which is a sprint race, recently pioneered at the opening weekend of the season. The event may close with an Australian Pursuit Race (APR), if members have any cycling left in their legs. An APR is a handicap race with the slowest away first over a shorter distance than the planned six hour endurance event. A KWCC spokesperson said: ‘Hopefully In the future we can look at organising something bigger. ‘It simply wasn’t going to be viable. The largest entry we had was 11 for the Saturday 10 mile time trial and only four competitors were from outwith the area. ‘However the closed to club event will be free to club members and anyone who joins will have membership till June 2020. Mr Semple re-founded KWCC nearly two years ago. Membership has grown steadily to 41 helped by his relentless enthusiasm and the committee’s determination to run exceptional events. 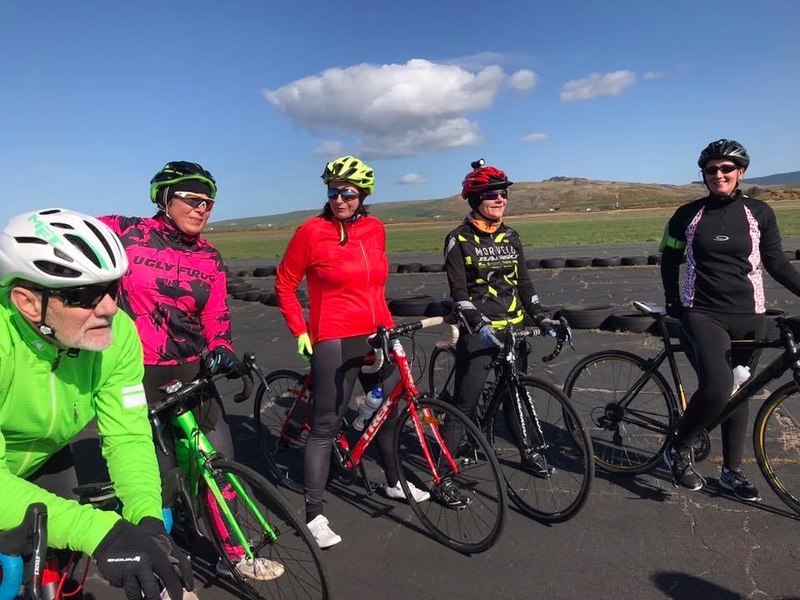 Cyclists at the recent season’s opener at the MACC base. NO_c15cycling01_MACC Photograph by Marjorie Leighton.